Great case! I only wish that the led color was changeable. I love this case, plenty of room to work with. Great cable management options. Very clean look and very quiet. Built in fan controller! But really, bar none the best case I've had the pleasure of working with. 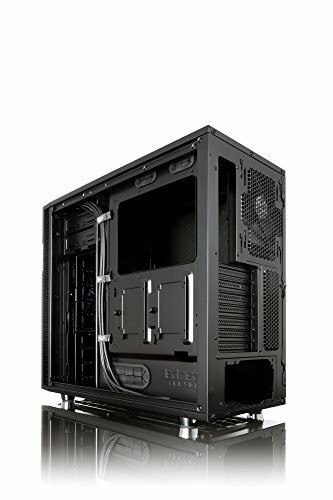 I initially purchased the non-windowed version of this case, but after taking the time to make my build look decent I really wanted a window. Found a guy about 2 hours away who traded me his window side panel for my non-window panel. Such a lucky break. 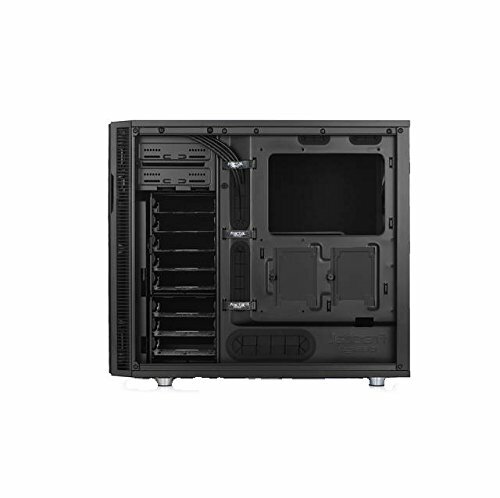 The case is amazing with nice airflow and 2 SSD mounts on the back of the motherboard tray. It looks great as well. Although I had a frustrating time with mounting the cpu cooler in it. I am going to give this case a 5 star. I had to use double sided foam tape on 2 of the fans and part of the radiator keep in place. I could fit all of the fans and the radiator normally. However, I would have had to take off the optical bay (which I didnt want to do because that is where I mounted my WD harddrive). I happy with the turnout though. The double sided foam tape is very strong and also prevents any vibration. In general the case is sleek, modest, yet badass. It's quiet given what I am working with and I don't know if I could be happier. Working in it as far as cable management was pretty easy. Although I am new at building and cable management I was easily able to clean it up fairly well. The back has lots of room for cables and there was no problem fitting the chassis walls back onto the tower. Great Case, super quiet, easy cable management, great space and options and a sleek blackout and clean look. Would definitely buy this case again. Love the front door and dust filters included. I good quality case. I like how well it is designed and the way you can reconfigure things, like the 3.5" drive mounts, switch up the left/right windows, configure which way the front opens, etc. I also like how silent it is compared to my previous case (the hardware was the same inside both cases). This is my first quality case and I like it a lot, but I found the grommets are a bit not that high quality as they many times come off easily from the cable holes. One of them even got cut by the hole. Also, the hidden SSD mount points on the back of the case do not have enough clearance for cables. At least, for my cables. A fantastic case all around, and very very quiet (even when stress testing). Cable management is easy using the included velcro straps on the back of the motherboard tray. 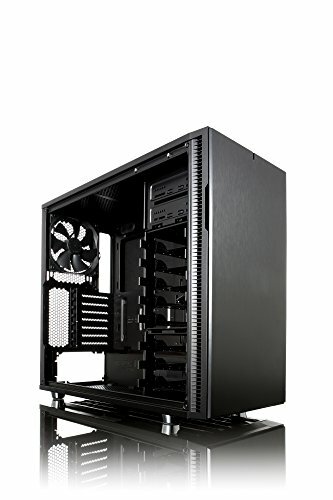 Has a lot of storage potential for a mid-tower case. Bottom dust filter pulls out entirely from the front so you don't have to reach around the back to clean off the PSU filter. Only downside is that there's no dust filter for the top panel if you're planning to install exhaust fans up there.